Nah...not my nails. I'm not really big on having long nails. 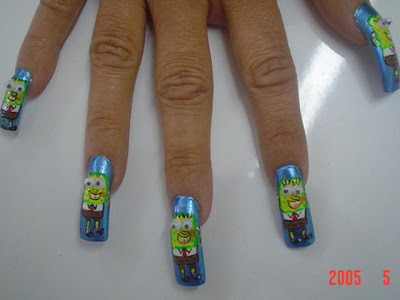 I tried to have long nails in the mid 90s but something funny[?] happened to me. I was teaching Gr. 1 then and while I was writing on the board one of the cutest, fattest kid in class called me. So I went to his seat to see what he wanted. In his softest, sweetest voice asked me: "Why do your nails look like eagle's claws?" It wasn't too long after that when I decided to go back to my old nails...short. 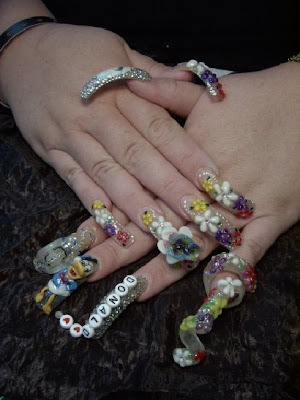 I still admire women with long nails...some of them anyway. 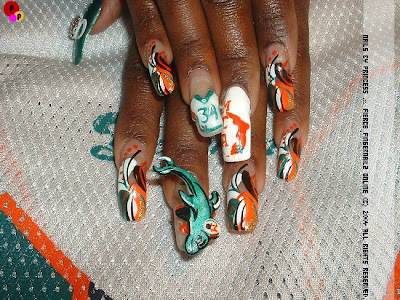 Not sure what to think of the following nails though. What 'ya think??? 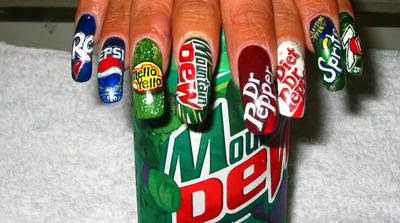 Would have your nails done this way?? Pero I think ung iba dito is fake kc di po ba may artificial nail extensions sa shops? para ding wig ba,hahha! 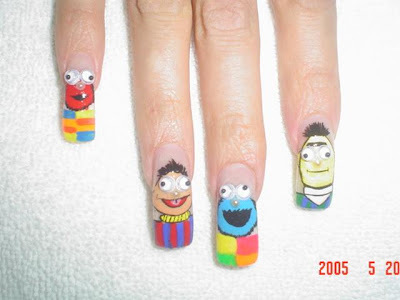 hahahahahaha!i never had long nails really but these pics are intriguing! i always have short nails because of my profession. but if given a chance to have a longer nails i will have it simple. ayoko ng katulad sa picture kahit free. lol.